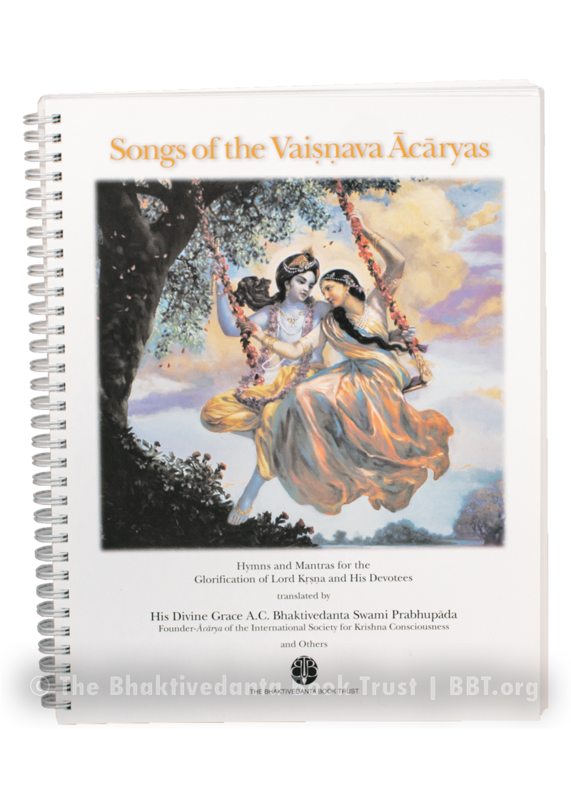 Spiralbound, 146 pages, 8.5" x 11"
Songs of the Vaishnava Acharyas is a collection of prayers by some of the prominent acharyas—teachers—in the lineage of Krishna consciousness. It contains all of the standard songs sung in Krishna temples every day, as well as many bhajans (devotional songs) traditionally sung during special occasions, festivals, and other devotee gatherings. This large songbook has even more songs than the original, including Narada Muni Bajaya Vina, Bhuliya Tomare, and many more.